Miao & WafuPafu Comic Blog » Signal doesn’t makes you invincible! « When I decided to go out for a Movie..
Signal doesn’t makes you invincible! It was a busy and fast lane and this fella actually stopped to drop off his friend. Although he did put up the signal but he should have pulled to the side too instead of just stopped right in the middle and also not so suddenly. and not getting my wife kissed by anyone. I’m not the best driver but sometimes some drivers can really be very unthoughtful and inconsiderate. Posted on April 18, 2010 by Jian Akiraceo. 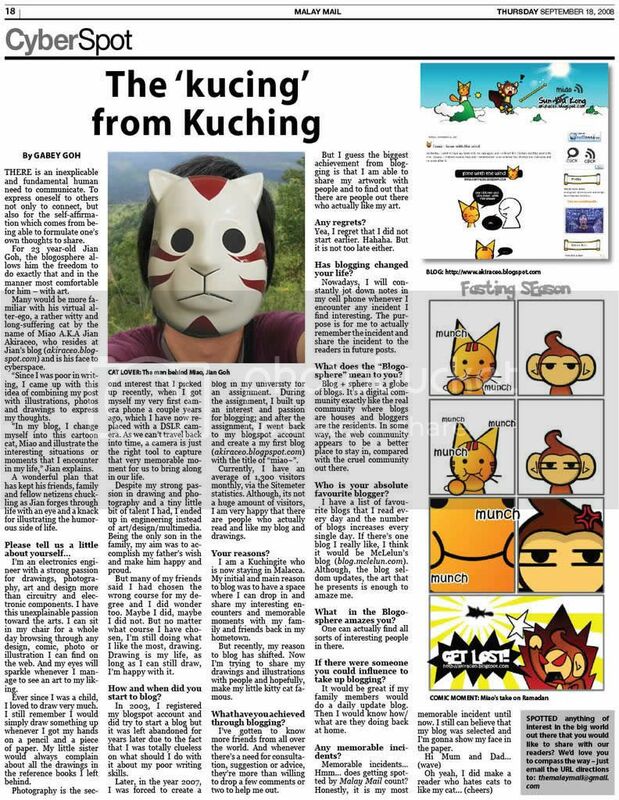 This entry was posted in Rant and tagged comic, initial d, irresponsible driver, miao, parking at the road side. Bookmark the permalink. =.=” initial D pula……u r real 100% otaku! LOL!! Initial D style!! hahah. Miaw tofu shop ha. really geng. They not scare people have accident due to their sudden stop. what? u think u driving ae86 ah? HAHHAHA! I know the feeling.. yesterday there was one driver who just suddenly stop at the main road to see an accident.. and i was drving behind him.. apa pulak!! I just hon him kao kao.. @@#?!! That one really need to honk 99.. hahahaha..~! !i love the way u act miao..~! some people got no brain to stop in the car on the road juz to drop friend~!! Hahahha no lar.. i didn’t drift also..
Driving the way to the bz traffic? what he/she did there? haha.. initial D. kui u can think of it. well done! When is initial M movie going to release? Im sure gonna to book the 1st ticket……. LoL……. When is initial M movie going to release? Im sure gonna to book the 1st ticket……. Waaaaaaaaai! 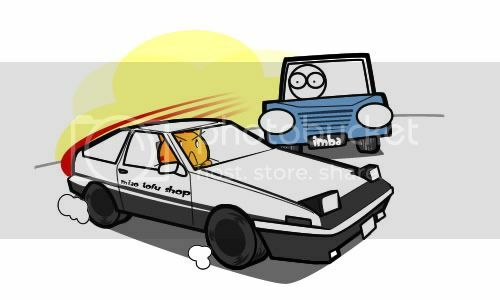 Miao the initial d driver! 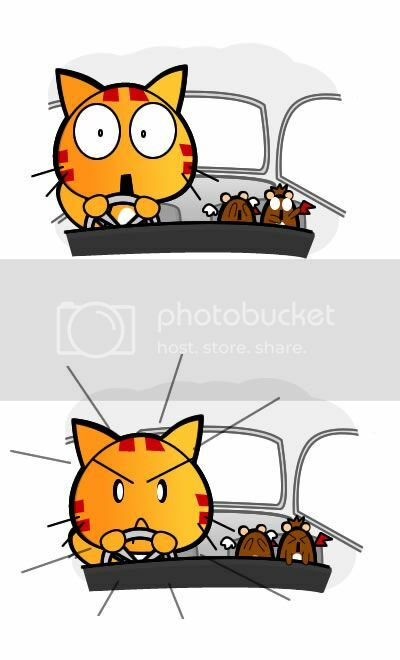 hahaha miao… if in real world the water will spilled in your car liao hahahaha. Hahaha you won’t see any miao because no one gonna draw them d.
OMG! I saw the watercup… I suspected it was going to be initial D… You draw the car so naish! So funny la!